At the law firm of Lawrence N. Lavigne, Esq., L.L.C., in Union, New Jersey, we put the law to work for you. Our lawyers are committed to helping employees, employers, and consumers protect their legal rights and advance their interests. When handling your case, we see you as partners. Together, we will discuss your legal options – including the risks and benefits of each approach – then tailor a strategy that achieves your goals. If you are an employee who has been wrongfully terminated or discriminated against at work, or an employer facing employment law litigation, we can help. 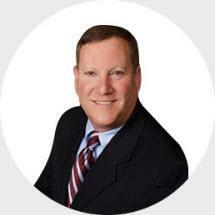 Attorney Larry Lavigne has been representing employees and employers in employment litigation for over 30 years. He has been recognized by former clients and the legal community for his experience, his skill and his legal knowledge. In addition to our employment law practice, we also represent consumers in Lemon Law cases and contract disputes, and act as general corporate counsel to businesses throughout the region. For more information about our services, please contact Lawrence N. Lavigne, Esq., L.L.C.